As summer gives way to colder weather, many of us look to prepare healthy meals that still include fresh fruit and vegetables, foods that are healthy and high in nutrition. But it’s also that time when we would like to add to our diet a dash of healthy fat, a slice of hearty bread or something special. Why? Because, tasting great and nourishing the body is not the only job that food takes care of, it also has great influence our mood. So, when it’s lunchtime and you’re a bit tired and feeling blue, not to mention hungry, the solution is simple: make a sandwich. • Coat a medium nonstick skillet with cooking spray and place over medium heat. Add onion, sugar and salt to skillets; cover. Cook for 10 minutes or until lightly browned, stirring occasionally; remove from heat. • Stir together mustard, horseradish, and honey. 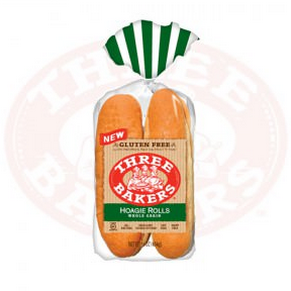 Spread 4 slices bread evenly with mustard mixture, and then layer 3 slices ham over each piece of bread. 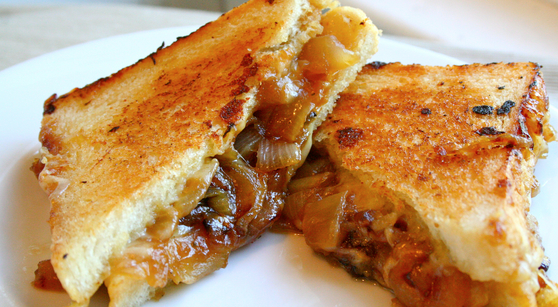 Place about 2 tablespoons onion on top of the ham, and then place 1-ounce cheese on top of the onions. Place 4 remaining bread slices over cheese. • Heat a nonstick skillet. Cook 2 minutes. Turn sandwiches over; cook 2 minutes more or until golden brown and cheese is melted. Bread is the number one item that most people, allergic to gluten miss. 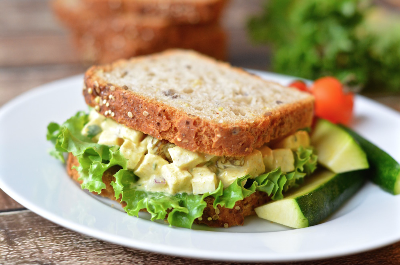 Thankfully, for this there is a solution and no reason for you to miss your favorite food; here are a few Gluten Free sandwich ideas. In a large bowl, stir together mayonnaise, yogurt, cilantro, curry powder, salt, and pepper. Add chicken, mango, golden raisins, and onions. Stir until mayonnaise mixture is well distributed. 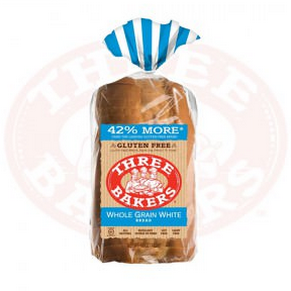 To serve, place lettuce leaves on a Three Bakers slice of 7 Ancient Grains Whole Grain Bread. Top with the desired amount of Curried Chicken Salad and a second slice of bread. Using Ancient grains, including Flax, Quinoa and Millet give this bread a great texture and subtle flavors. It’s a great source of whole grains and an excellent source of fiber. • Open rolls. Whisk olive oil, vinegar, and oregano together in a small bowl. Brush the inside of each roll with mixture. 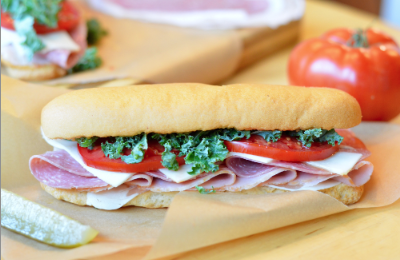 • On hoagie rolls, layer the meats, cheese, tomato, onion and lettuce. Top with peppered, if desired. • Drizzle with more of the oil-vinegar mixture. Enjoy! Oh, you’re so welcome. Enjoy!